The Hepworth Wakefield01924 247360work Art GalleryThe Hepworth Wakefield is Yorkshire's landmark gallery for the visual arts. This stunning building, designed by David Chipperfield Architects, is a place to explore art, architecture and your imagination. In 2017, the Hepworth Wakefield recently won the prestigious Art Fund Museum of the Year 2017. With over 1,600 square metres of light filled gallery spaces, The Hepworth Wakefield is the largest purpose-built exhibition space outside of London. The gallery celebrates the area’s artistic legacy as the birthplace of Barbara Hepworth, one of the 20th Century's most important artists, and brings together work from Wakefield's art collection, internationally renowned artists as well as a significant collection of Hepworth's work. 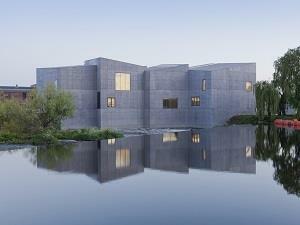 The Hepworth Wakefield is Yorkshire's landmark gallery for the visual arts. This stunning building, designed by David Chipperfield Architects, is a place to explore art, architecture and your imagination. In 2017, the Hepworth Wakefield recently won the prestigious Art Fund Museum of the Year 2017. Located in an outstanding setting on Wakefield's historic waterfront, the gallery offers a vibrant social space that is central to the artistic and social life of the region. Everyone is welcome to enjoy the world-class facilities including cafe, shop and education spaces and take part in an exciting programme of family activities, workshops, talks, tours and special events.